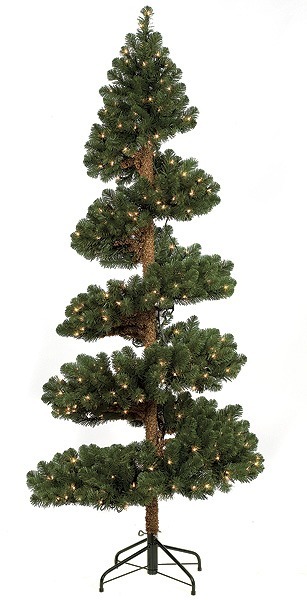 7 Foot PVC Spiral Spruce Tree - 572 Tips - 400 Clear Lights - 39 Inch Diameter - Wire Stand. This beautiful artificial tree will add natural and stylish accent to your home or business. This is a really nice spruce that comes with its own lights, and you will be able to use the tree to illuminate any part of your home or your property. You can use these trees inside the house, or you can use the trees outside the house. You can put these all over your home, and you can make your home look like it is trimmed perfectly all the time because of your topiaries.